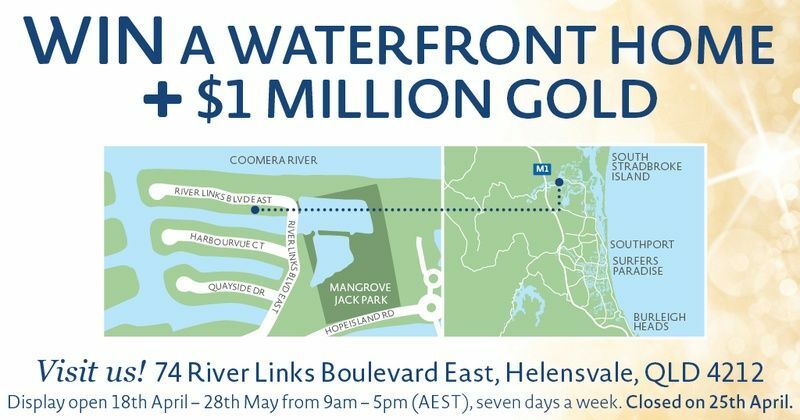 The latest draw from the RSL Art Union matches your dream of owning a luxurious home on the Gold Coast with everyone’s desire to win a million dollars. Yes, the lucky winner of draw 355 will get both. The home is in Helensvale, a small Gold Coast community that lies on the outer fringe of the hinterland. The beaches of Surfer’s Paradise are only a short drive away, yet the property is still within easy commuting distance of Brisbane. Getting to work in the city every day may be the least of your worries, however, with $1 million in gold bullion sitting in your back pocket. 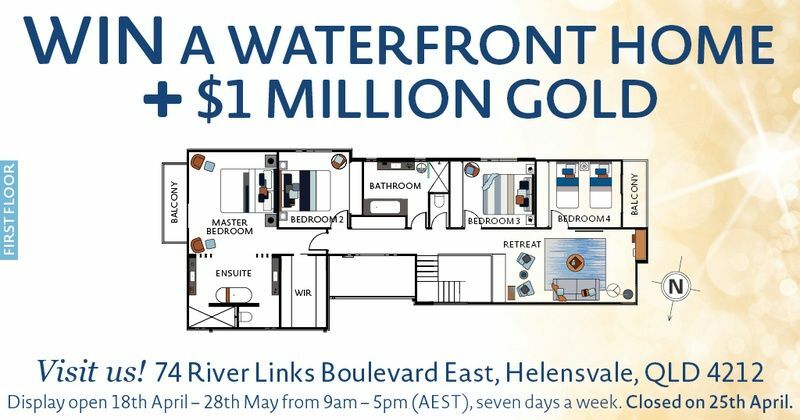 With a waterfront location, four spacious bedrooms and a luxurious design package, you’ll love what this home has to offer. The RSL Art Union Prize Home Lottery Draw 355 closes at 8pm AEST on May 28th, 2018 and the draw will take place at 10am AEST on June 1st, 2018 at ANZAC HOUSE, 283 St Pauls Terrace, Fortitude Valley QLD 4006. Members of the public are always most welcome to drop by an watch the draw. Winners will receive their good news by registered mail. The Courier Mail and The Australian will also publish the results of the draw on 4 June 2018. You can inspect the prize home from 9am to 5pm, any day of the week. The residence will be available for public viewing from April 18th to May 28th but will remain closed on Anzac Day. 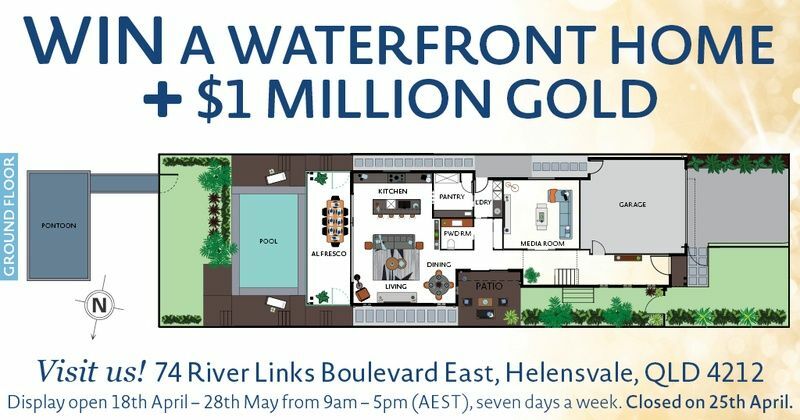 The home is located at 74 River Links Boulevard East, Helensvale, QLD 4212. Ticket books are great value because you get additional free tickets and a chance at even more gold bullion after making a $20 purchase. Thank you for supporting the RSL and best of luck in the draw.